Do you know about our Compare Athlete feature? Using it, subscribers can get a detailed report that includes head-to-head results, PR's in every event, and even progression by grade! You can pick any two athletes, from national-caliber superstars to local rivals, and see their competitive histories laid out side-by-side in an easy-to-read table. 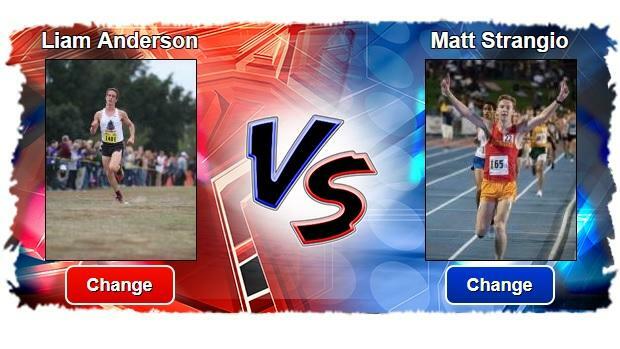 Check out the sample below, featuring Liam Anderson and Matt Strangio as they prepare for their second head-to-head 3200 battle of the season, and then follow the links to several other marquee match-ups we're looking forward to this weekend!